The deployment of National Guard troops and a night-time curfew do not seem to have calmed the uneasy situation in Ferguson in the US state of Missouri. On the contrary, the mood in the town has deteriorated. 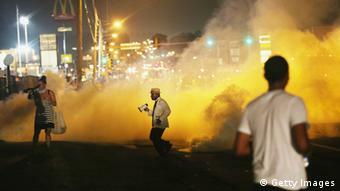 As night falls over Ferguson, tensions rise: Will there be more riots? Will police again use tear gas to keep demonstrators - some of them all too ready to become violent - in check? Missouri Governor Jay Nixon has lifted the nighttime curfew he imposed on Saturday, hoping that things would have calmed down in the ten days that have passed since Michael Brown, an African American teenager, was fatally shot by a white police officer. But it is a forlorn hope. Armed vehicles of the National Guard are patrolling the streets of this small town of around 21,000 residents, and even at midnight there are police helicopters circling overhead. Many journalists are being prevented from approaching the demonstrators. Some of them have even been temporarily detained, such as Asgar Graw, a correspondent for the German newspaper Welt, and Frank Hermann from the Rheinische Post. Rumors run rife about where demonstrators and security forces are currently clashing with one another. 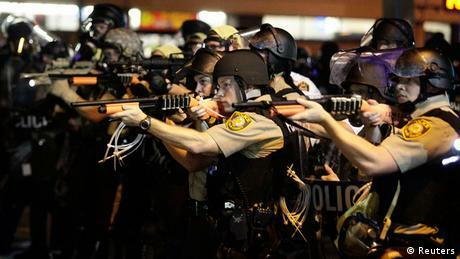 Jay Nixon ordered in the National Guard to protect police headquarters and shopping precincts in Ferguson. The security forces, visibly jumpy, tell groups of young people to disperse: "Keep moving!" is the order of the day. But many demonstrators do not heed their calls, sometimes provoking the police and National Guard personnel. The police are still in charge of public law and order. However, practically every African American resident with whom you speak doesn't trust them. Missouri residents are bemused by the deployment of the National Guard to keep American demonstrators under control. In the past, the National Guard has been called upon to help in St. Louis - of which Ferguson is a suburb - mostly when a natural disaster has hit: for example, when snow has blocked streets in winter or during flooding in the warmer months. 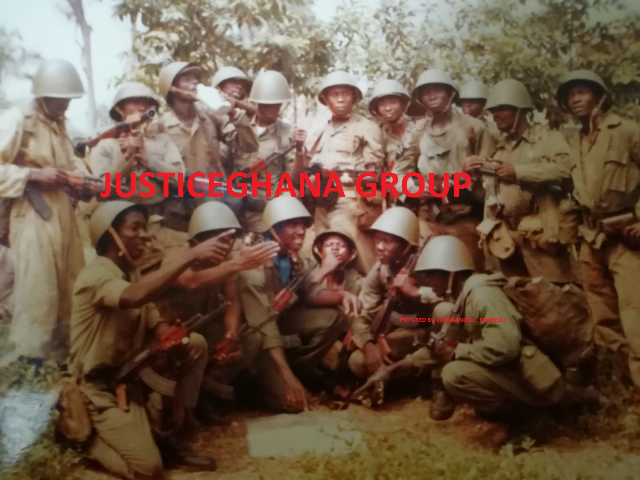 Only once since the Second World War, in April 1968, did the National Guard have to join police in restoring law and order. That was during the violent riots triggered by the assassination of civil rights activist Martin Luther King Jr. A force of 1,500 from the National Guard was deployed so that life could return to normal. This time, the contingent is smaller, but the authorities have declined to say exactly how large it is, instead taking pains to insist on the insignificance of its role. Whether National Guard or police - youth in the town center of Ferguson aren't making any distinctions. "A cop is a cop," says one young man, who doesn't want to give his name. That's not exactly what one would call confidence in state authority. And that seems to be at the root of the problems in Ferguson at the moment: Whatever politicians, state prosecutors or police chiefs say at hastily arranged televised press conferences, for many people in Ferguson it is just so much hot air - promises that cannot be trusted. The mood in the city hasn't been good for years, says one African American who works in a hotel right next to the airport. Many blacks are without jobs, he says. And, he maintains, even those who do have one don't earn enough to live on. "We want justice," a group of several dozen youths call out as they go through the town center of Ferguson at night. If you talk with them, it quickly becomes clear what they really mean: The arrest of Darren Wilson, the police officer who shot Michael Brown, apparently from extremely close range. An autopsy commissioned by Brown's parents showed that their unarmed son was hit by at least six bullets. They don't trust the autopsy carried out by the local authorities. As if two autopsies weren't sufficient, Attorney General Eric Holder has already announced in Washington D.C. that there is to be a third one. On Wednesday, he intends to see for himself what is going on in Ferguson.